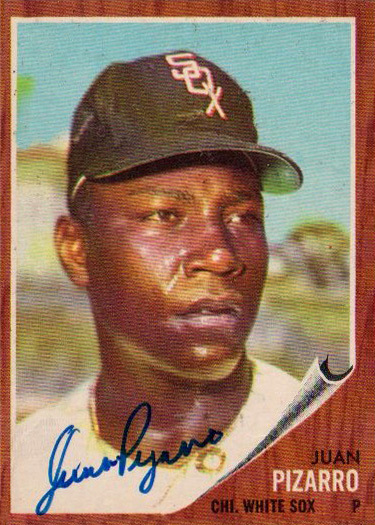 Today I received the latest batch of signed cards from one of my favorite eBay sellers, the-dutch. 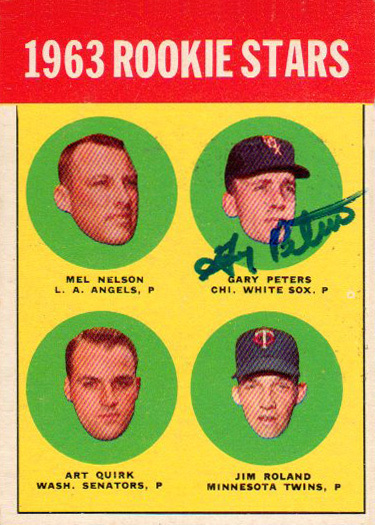 This time, they are from 1963 Topps. 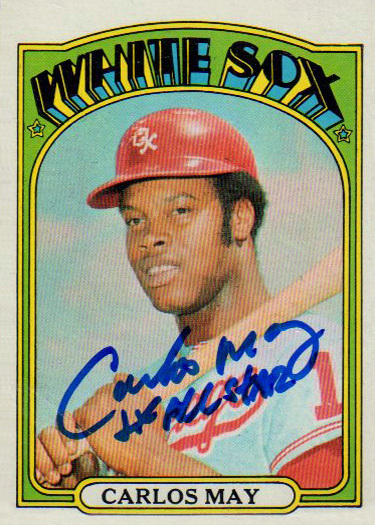 Some of these guys are great TTM signers. 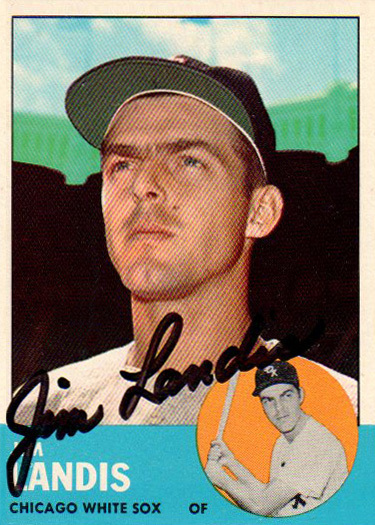 Normally I wouldn't purchase autographs of Jim Landis, Ray Herbert, Gary Peters, or J.C. Martin. 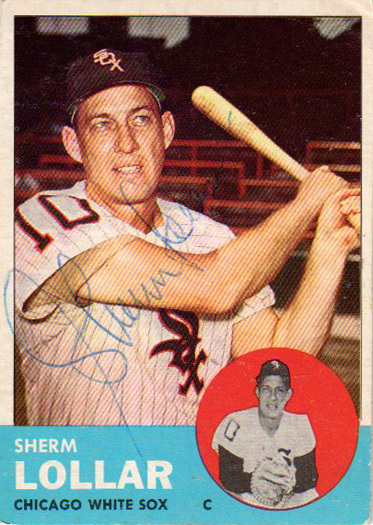 But their 1963 Topps cards are shortprinted, and it would have cost at least as much to purchase unsigned copies. So it was a no-brainer! 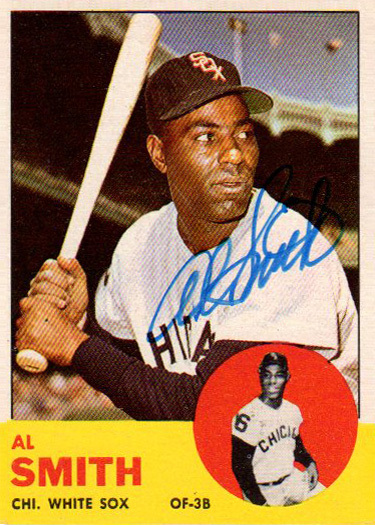 Upper Deck and Allen & Ginter enhanced checklists completed! On those pages, you will also notice links to a comma delimited version of the checklist. This should be helpful if you would like to copy the checklist into your favorite spreadsheet program. I figure these enhanced checklists will be helpful in a number of ways. They can help you complete your collections. 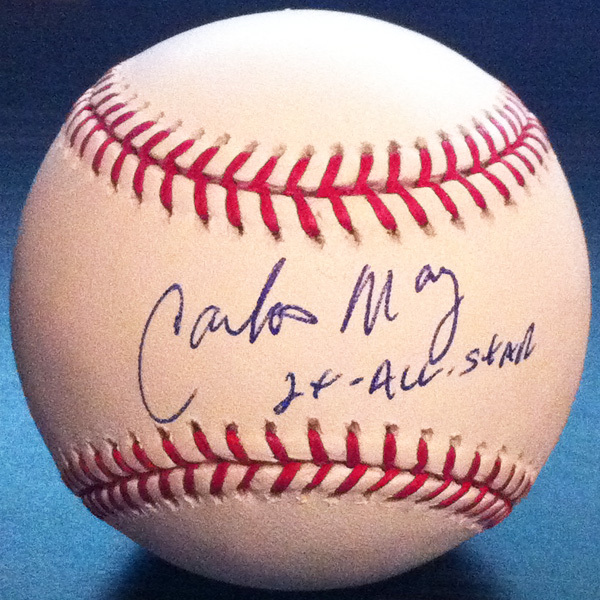 They can also help you decide which cards would potentially look good autographed. 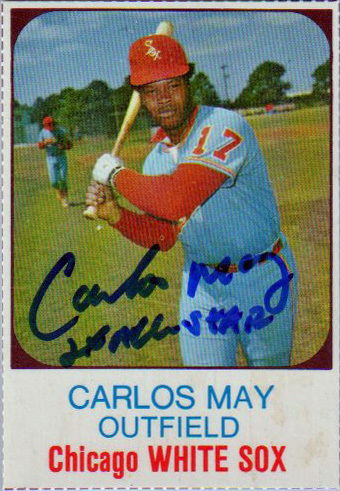 It can be very annoying ordering cards sight unseen to get autographed, and when they arrive they are so dark that the autograph won't show up at all. I can't promise that I'll do enhanced checklists for all sets, as the scanning takes a LOT of time. However, I will be updating the checklists for some of my favorite sets in this fashion. 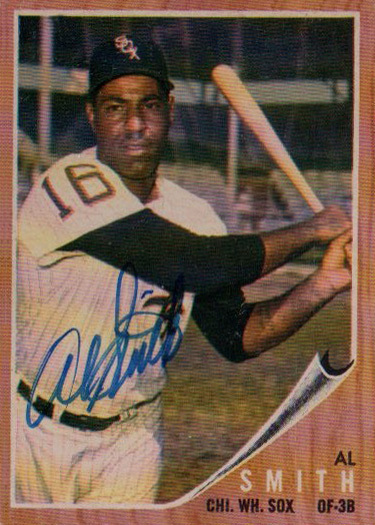 I've been going through my Upper Deck collection, scanning everything in for the enhanced checklists I've been posting. While doing so, I was reminded of a question I have always had. 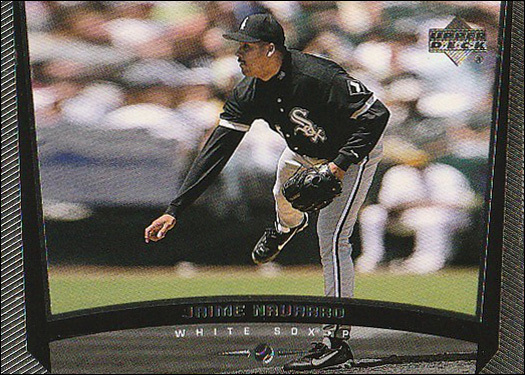 Why does Jaime Navarro have two different 1999 Upper Deck cards? 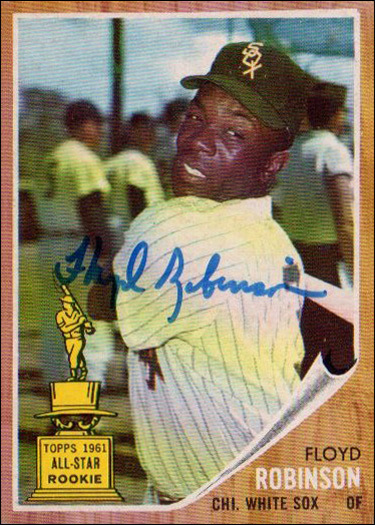 Both cards picture him in a White Sox uniform. It has to be a mistake, right? 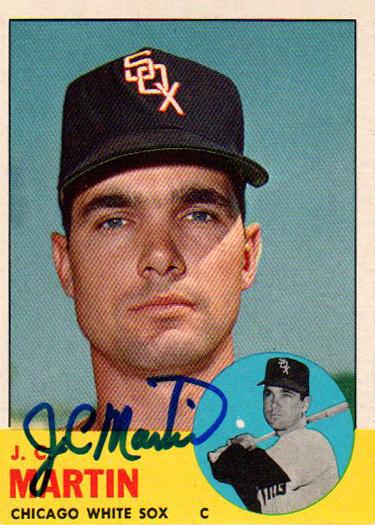 I mean, were people at the time clamoring for more Jaime Navarro cards? 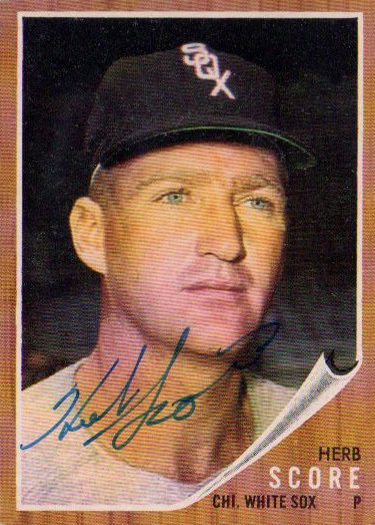 Upper Deck has been known to have multiple base cards of star-quality players. 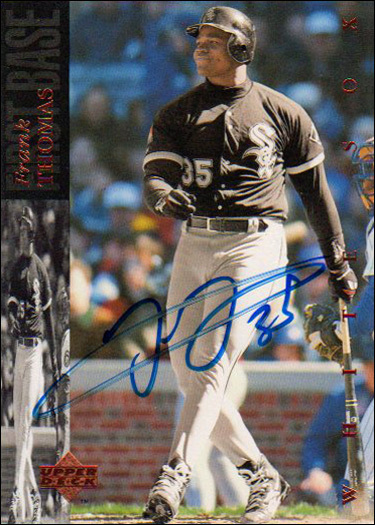 For example, in 2009 Upper Deck there were two base cards each of Jim Thome, Carlos Quentin, and Alexei Ramirez. 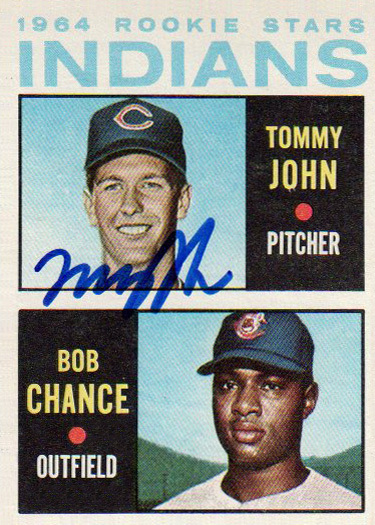 Thome and Quentin even had a third "subset" card. But Jaime Navarro? Seriously? 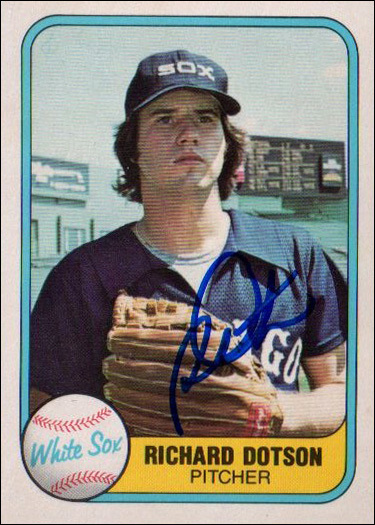 Today's entry into Project Rookie Card is a quartet of Richard Dotson rookies. 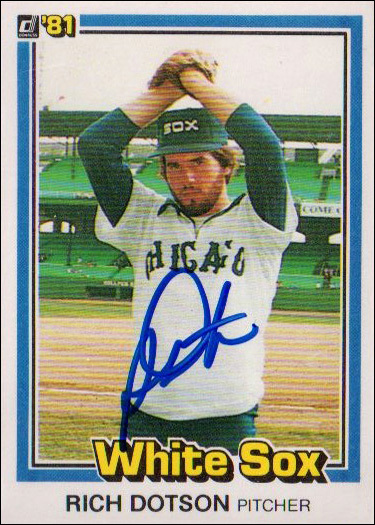 Dotson had a good run for the mid-80s White Sox. His 1983 season was especially impressive. 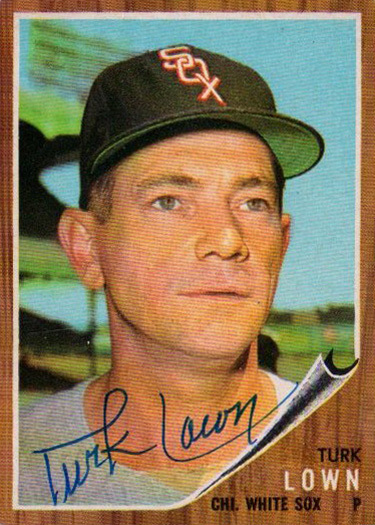 LaMarr Hoyt may have gotten all of the publicity (and hardware) that year, but Dotson was even better. He posted a 130 ERA+ over 240 innings, good for 4.9 WAR (wins above replacement). 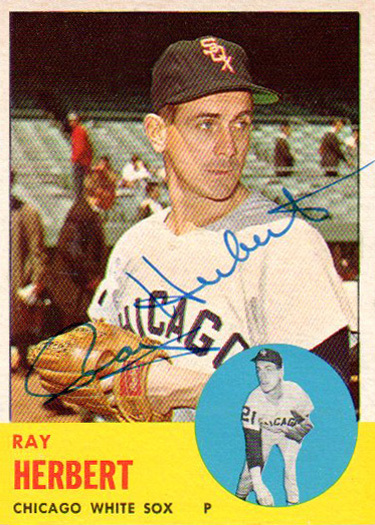 Compare that to Hoyt's 115 ERA+ over 260.2 innings, which was worth 3.7 WAR. 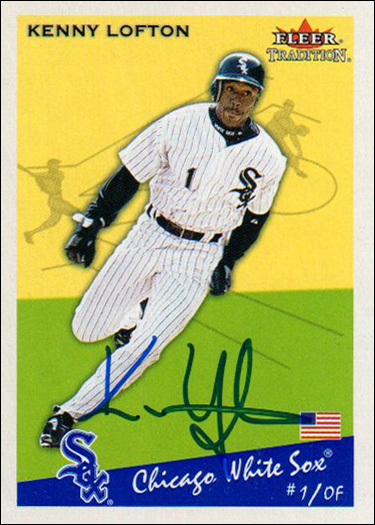 Richard Dotson has been a great signer during his time as pitching coach for the Charlotte Knights, so these signed rookies weren't hard to acquire with a bit of help from my friends that graph the International League. Well, today is my 32nd birthday. I don't really have much to say about that. However, I would love to show you the birthday cake my wife got me for my 30th birthday. Is she great, or what? 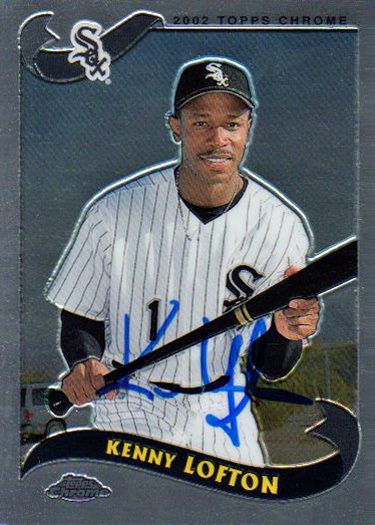 I received my Frank Thomas and Kenny Lofton cards from Tommy Jackley's private signing. 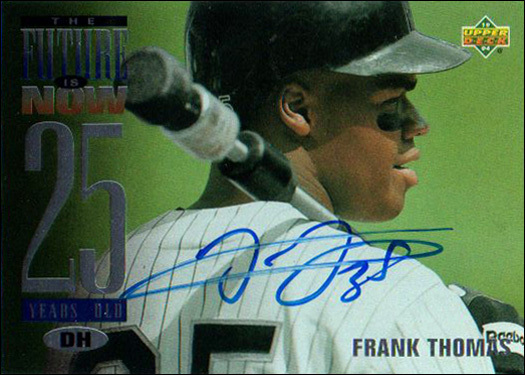 The 1993 Upper Deck Frank Thomas checklist was a re-send, after Tommy had it signed on the back last time. After a bit of a struggle, he agreed to get another one signed. 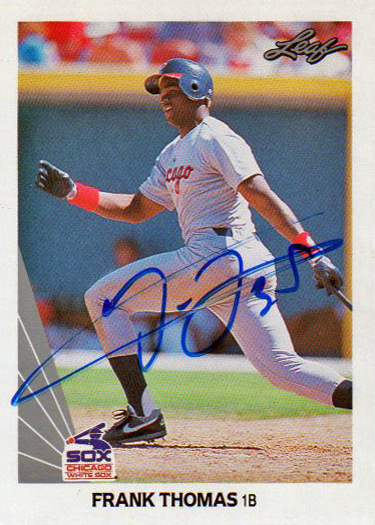 The '93 UD CL is still signed in a weird spot, but I guess it is better than being signed on the back. I had put a post-it on the top half of the front of the card, with "SIGN BELOW" and downward pointing arrows written on it. Apparently he took the post-it off and had Frank sign where the post-it had been. Oh well. 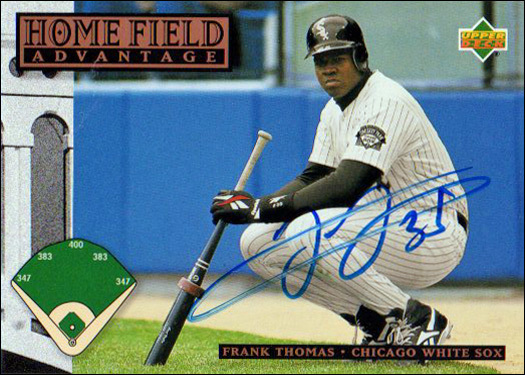 There is one more Frank Thomas card that I didn't include in this post. I will post that one tomorrow. 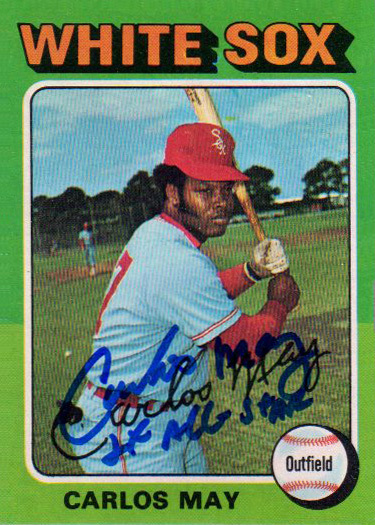 Mike Baker (darnfloor on SCN) recently held his second private signing with Sox legend Carlos May. This signing was handled just as well as the first, which is no surprise. I got quite a few things signed last time, but I was happy to have the opportunity to send in four more items for this signing. If only all private signings went as smoothly as this one. Thanks Mike! You can definitely count me in if you have another signing. 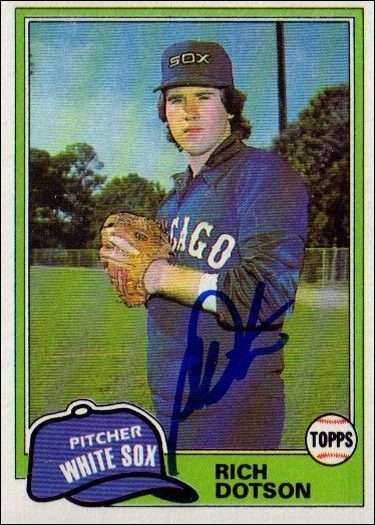 Here is the other rookie card that mentioned in yesterday's post. This is one that I've been wanting for a while.